Ribs really rise to any occasion. Be that dinner, appetizers or snacking. 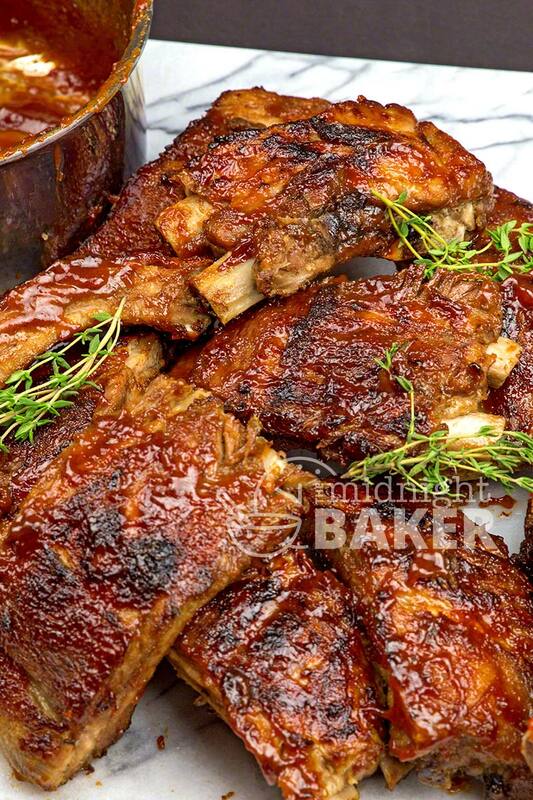 They are almost the perfect thing to serve for any party, and what’s a Super Bowl party without ribs? I love the flavor of guava and it goes so well with pork. 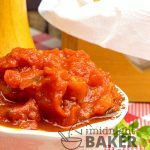 This recipe uses guava paste which is a slab of concentrated guava pulp. However, it may be difficult to find if you live in an area that doesn’t have a large Latino population–especially Cuban. It’s not available by me so I buy my guava paste on Amazon. Guava paste is very dense. It’s not jiggly like gelatin blocks. You have to cut it up and heat it in order to make the glaze. It becomes easy to mash once it’s heated so I suggest you don’t try to do this when you first start to cook it. Cut it in small blocks, about one-inch, let it heat then start to mash it with a fork. 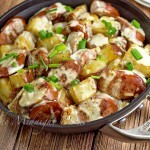 It may be a bit involved but it tastes so good, I think you’ll find it worth the effort. The only viable substitute I can recommend in place of it would be red currant jelly or jam. However, I do hope you use the guava. It’s delicious and so tropical!!! 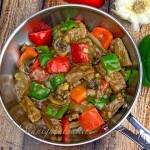 You can cook these by other methods than pressure cooking. 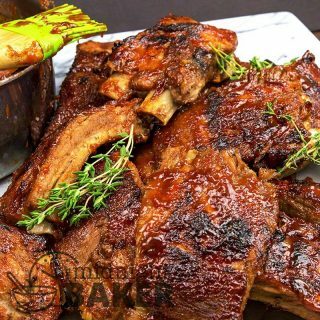 For oven cooking, prep the ribs as in the recipe–removing the membrane–then place them on a rack in a pan and roast for 2 hours at 350 degrees F.
For slow cooking, prep as above and cook on high for about 5 hours. However watch them carefully because you don’t want them overcooked. I never add water to the slow cooker, but if you want to, about 1/2 cup is fine. Remove membrane on the bone side of the ribs. Place ribs and water in Instant Pot and cook on manual, high pressure for 12 minutes. Release pressure immediately and let them cool a bit. Meanwhile, prepare glaze by placing the guava paste and the water in a small saucepan; heat over low heat. Using a fork, mash the guava paste until melted and smooth—about 5 minutes. Add the soy sauce. Remove from the heat and add the lemon or lime juice. Heat broiler to high. 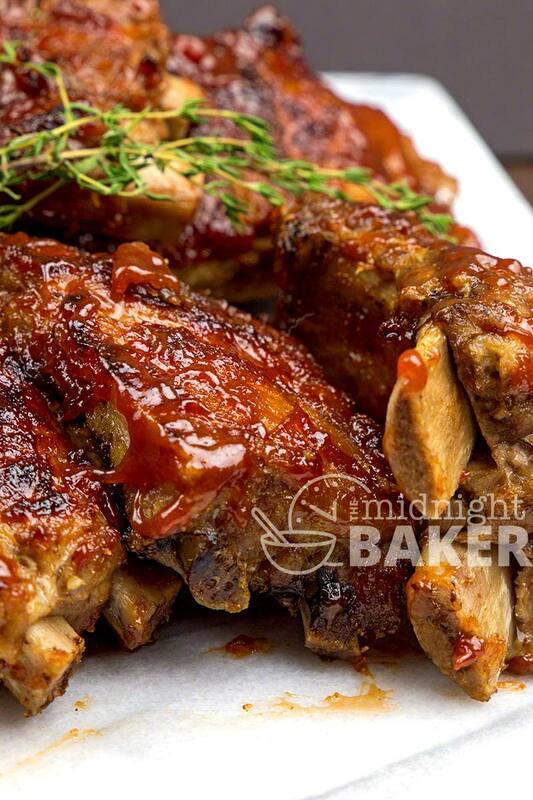 Brush ribs on both sides with a generous amount of the glaze. Broil until the glaze is bubbling and starts to caramelize; about 5 minutes each side. Remove from the broiler and cut into individual ribs. I have a jar of guava jelly. Can I use that? Otherwise I’m gonna sit with the jar, a knife, and a box of saltines. That makes my mouth happy. LOL–I’m pretty sure you can!!! The glaze was amazing and will for sure do again. No instant pot so I improvised. I dusted my ribs with my favorite rub and brushed on 1/2 the glaze. Covered tight with heavy duty foil and baked 3 hrs at 275 degrees. I opened the foil and basted again with the remaining glaze and broiled for appoz 3 min. 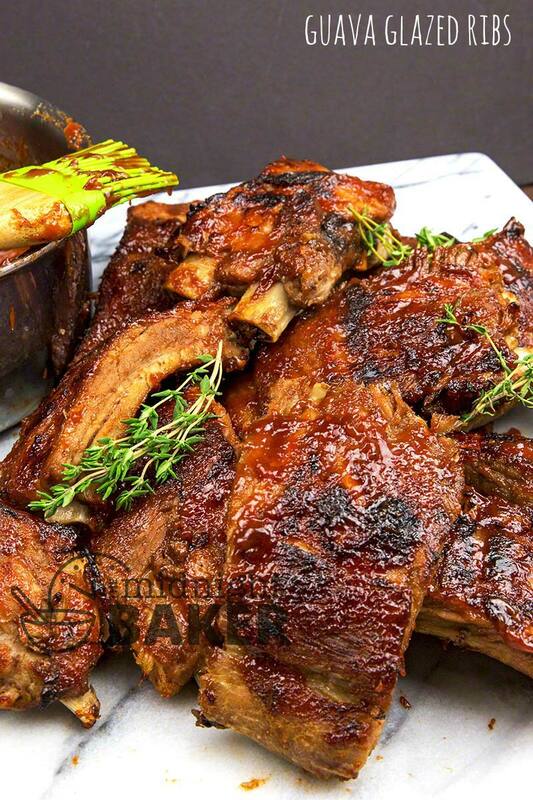 You could pull the meat off with your fingers on these St. Louis Style ribs. Instant pot just does ’em quick. I’m so glad you enjoyed the glaze. I just love guava even though it’s hard to find where I am now. Made these tonight and they were delicious! Don’t have Instant Pot so used the oven. I froze the leftover glaze to use later, maybe on a pork loin.